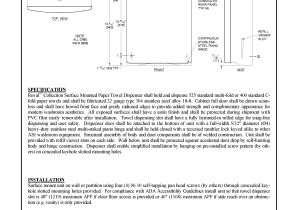 Cabinet full door shall be drawn seamless and shall have bowed front face. 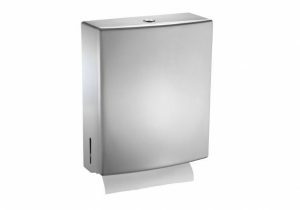 Radiused edges to provide added strength and complimentary appearance for modern washroom aesthetics. 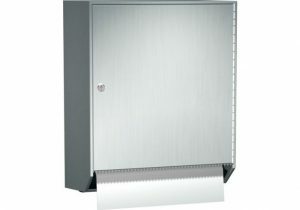 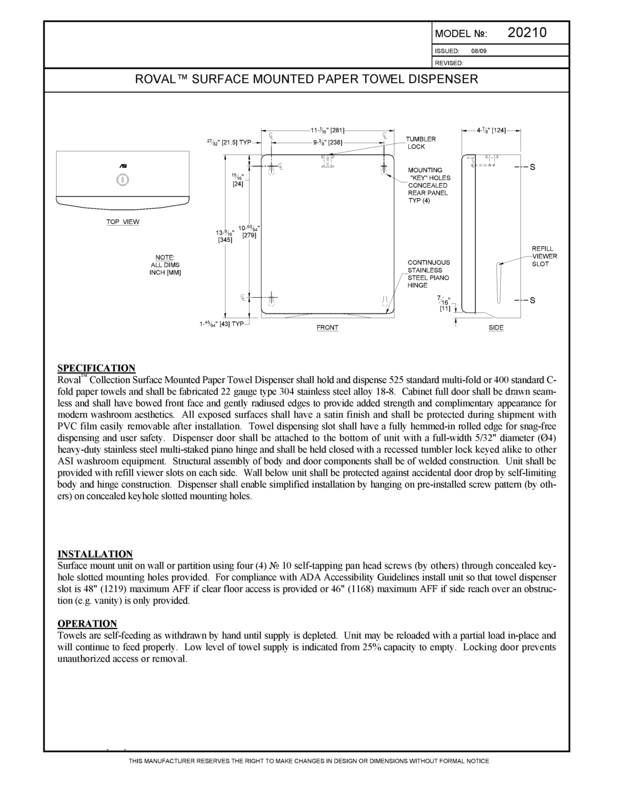 Surface Mounted Paper Towel Dispenser. 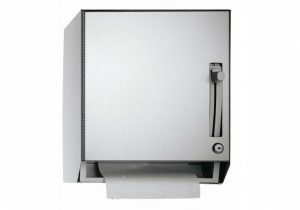 Hold and dispense 525 standard multi-fold or 400 standard C-fold paper towels. 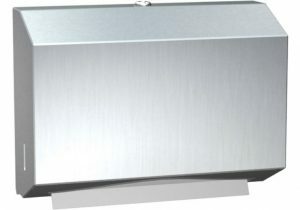 Fabricated 22 gauge type 304 stainless steel alloy 18-8. 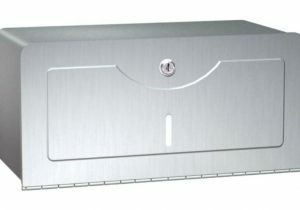 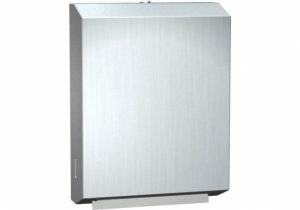 Towel dispensing slot shall have a fully hemmedin rolled edge for snag-free dispensing and user safety. Dispenser door shall be attached to the bottom of unit with a concealed full length 5/32″ diameter heavy duty stainless steel multi-staked piano hinge.